Here is the card I made for the contest at Scrap-N-Stamp, a local store. They required you to use bling, brackets, and a paper clip or two. I will post more info later. It's Brady's birthday today so I'm gonna run. 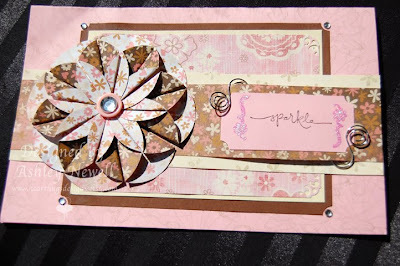 Please check out Scrap-n-Stamp's favorite links on our blog!!! Wow, that's a really pretty card!